What happens when you combine three awesome things? 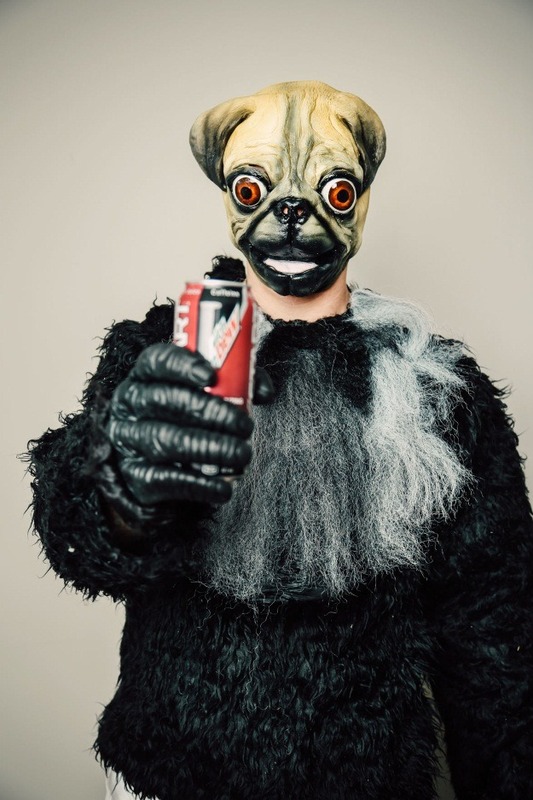 Well, during the big game, Mountain Dew ran a commercial explaining that you get something really awesome like one of their delicious beverages or you get something like puppy monkey baby. While puppies, monkeys, and babies may all be cute and awesome on their own, the puppy-monkey-baby combo from this memorable and divisive ad is something that either captivated you in a way you couldn't look away or simply terrified you. Whether you're looking to get some laughs or freak people out, here’s a quick and easy way to make your very own puppy monkey baby costume. After all, Halloween is only a mere 8 months away. 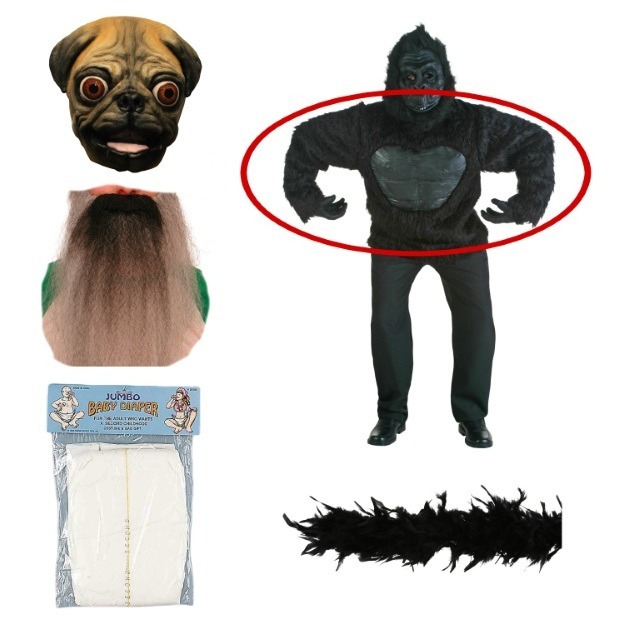 To get the look, just wear the top and the gloves from our wild gorilla costume along with a pug mask and an adult diaper. Use the hillbilly beard for the greyish chest color. Complete the look with a tail. We offer several options, but found that a black boa worked best. UPDATED: Mountan Dew's disturbing mascot now has his own officially licensed costume! 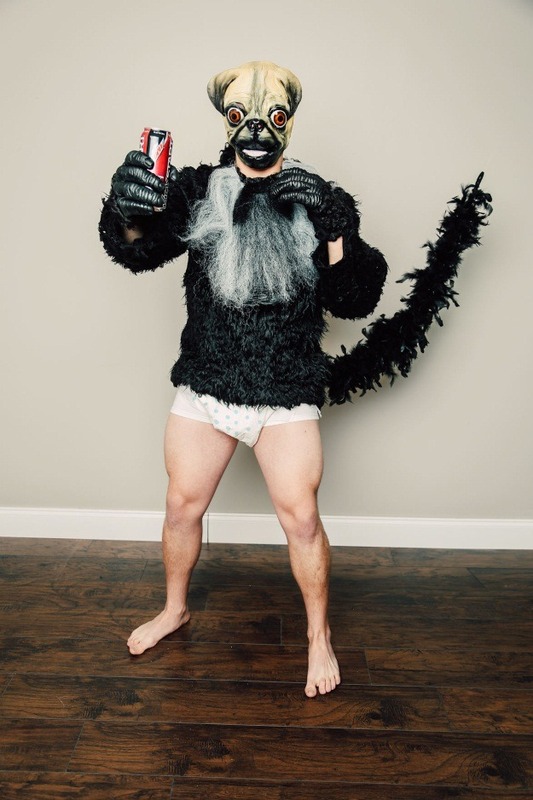 If you want to dress up as Puppy Monkey Baby, but don't want to pull together a DIY costume, now everything is available as one unique ensemble! How did puppy monkey baby rank among your favorite commercials from the big game? If you could combine three awesome things to create something ridiculous, what would you choose? We have some ideas in mind, so we'll keep trying them out. If you like the puppy monkey baby costume, check out our other funny costumes.